It is a very useful combination of 3 Ayurvedic herbal fruits with Guggulu, which are highly praised in Ayurveda for detoxification and support of metabolic functions. 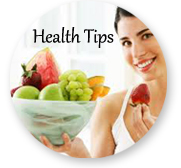 Especially beneficial in old age, chronic constipation specifically when first portion of the stool is hard and dry. It is also helpful in fistula, piles (hemorrhoids), flatulence, and edema. Triphala Guggulu - Herbal remedy for fistula, Piles and inflammations. Terminalia chebula - it is astringent and gentle purgative. It is an excellent anti-oxidant. It is useful for all kinds of digestive disorders and treats diseases pertaining to liver and enlargement of spleen. It is a good rejuvenator and restores good health. It treats debility and general weakness. It also serves as a tonic for the reproductive system and improves vitality. Because of its properties of removing toxins and unwanted fats from the body, it is highly beneficial in reducing inflammations. Terminalia bellerica - it is an effective anti-inflammatory and helps in pacifying pain, inflammations and swelling around the joints. It is useful in treating dyspepsia, biliousness, cough, bronchitis, and upper respiratory tract infections. It is also useful in treating worm infestations. Emblica officinalis - it is an excellent rejuvenator and promoter of strength and vitality. It has various properties like anti anemic, anabolic, anti-hemorrhagic, diuretic, anti diabetic and carminative. It is an excellent anti-oxidant. It is also useful in treating liver disorders and gastrointestinal disorders. It is an excellent tonic for general health and to improve the stamina. Piper longum - it is effective as a CNS stimulant. Serves as haematinic, sedative, cholagogue, digestive, appetizer and carminative. It is useful in respiratory disorders. It stimulates the nervous system and counteracts drowsiness. It acts as analeptic and hypotensive. Commiphora mukul - it is effective as anti-inflammatory and revitalizing properties. 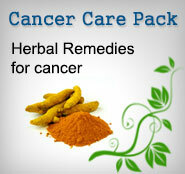 It is mainly useful in treating rheumatoid arthritis, osteoarthritis, sciatica and obesity. It also acts as a diuretic and useful in treating urinary disorders. Indications - Piles, Fistula and other inflammatory conditions. Dosage: 2 tablet twice a day or as directed by the Physician.